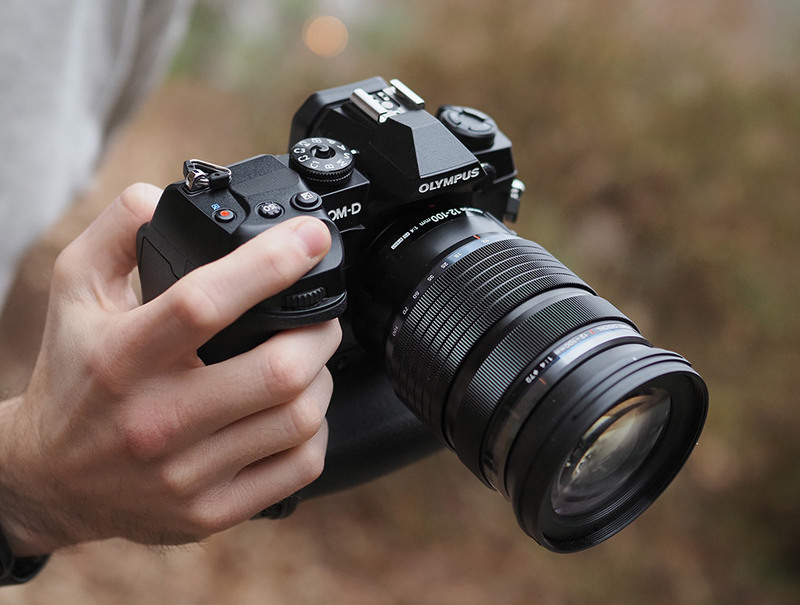 Olympus E-M1X Review — Now Shooting! From the outset, the Olympus E-M1 series was designed around the concept of a camera for the professional photographer, particularly a pro on the go — someone who needed a rugged, reliable camera that was also extremely portable. The original E-M1 was a great camera, offering comfortable ergonomics, lots of physical controls, rugged construction as well as great image quality and good AF performance. All that inside a camera body that could pretty much be carried anywhere. Yet, it was the E-M1 Mark II that really took things to the next level. Featuring a newer 20-megapixel Four Thirds sensor, a double quad-core image processor, souped-up sensor-shift image stabilization, vastly-improved continuous autofocus performance and speedy burst shooting, the E-M1 Mark II ticked pretty much all the boxes for an extremely capable, versatile, professional-level field camera. Also boasting a beefier design and better controls, dual card slots and a bigger, longer-lasting battery, it was a major improvement over the original E-M1 on pretty much all fronts, save for the price tag. Now, over two years later, Olympus has decided it isn’t necessarily time for a third-get E-M1 (although, that sure would be nice), but rather for a companion flagship model. A high-performance, professional camera that instead of prioritizing compactness and portability, focuses on handling, operability and overall extreme durability. Put another way, the Olympus E-M1 Mark II is to a Canon 5D-series camera as the Olympus E-M1X is to a Canon 1D-series camera. 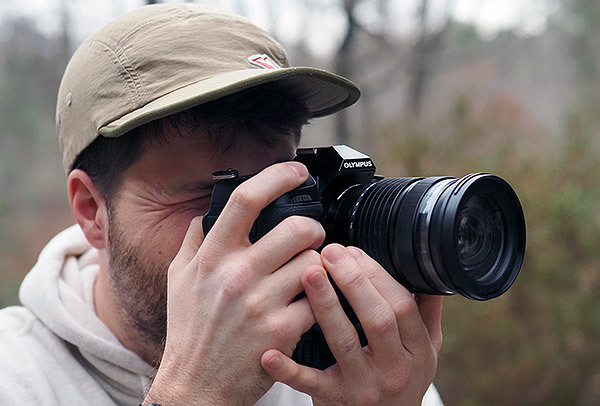 It’s an OM-D camera that’s especially well-suited for professional sports and wildlife photographers who shoot with longer, heavier telephoto lenses — yet for those who prefer a camera system that’s much more portable than that in the full-frame DSLR camp. 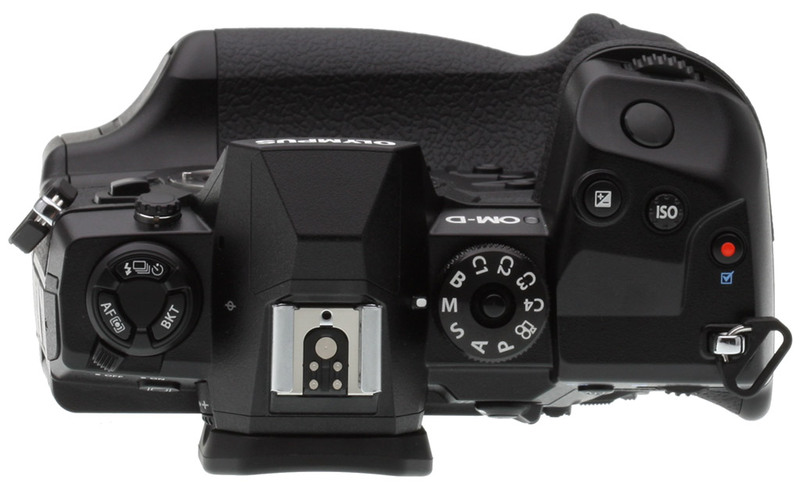 The E-M1X is Olympus’ crown, a final “rounding out” of the OM-D family, and their super-pro camera. The E-M1X does not technically supercede the E-M1 Mark II, however. Both cameras target professionals, and indeed they both share a number of similarities. However, the E-M1X goes beyond the Mark II in a number of areas, particular when it comes to performance and autofocus capabilities as well as image stabilization and video shooting capabilities. Back in December, I had a chance to spend time shooting with the new Olympus E-M1X (albeit with a beta version of the firmware) during an Olympus-organized press trip. Despite the early firmware, I nevertheless had an opportunity to not only become familiar with the camera’s design, ergonomics and general usability but also with its performance, particularly the updated AF system and the new AI-powered subject recognition and tracking technology. So let’s get to it! For starters, let’s talk about the elephant in the room: the E-M1X’s size. Yes, it is a big camera. The biggest Micro Four Thirds camera that Olympus, or perhaps any MFT manufacturer, has made to date. In a way, it feels slightly odd and almost humorous to know that it’s a Micro Four Thirds camera, as there’s nothing really “micro” about this camera body! However, with the larger-sized design comes not only increased durability but also better balance and handling characteristics when using larger, longer lenses, such as the 40-150mm f/2.8 Pro and especially the 300mm f/4 IS Pro. In hand, it certainly feels like the Olympus equivalent to a Canon 1D-series camera body, for example, which is to say a good thing. However, don’t get too caught up in the large size of the E-M1X body on its own. You need to consider the system as a whole. One of the major benefits to the Micro Four Thirds system — and one of my personal reasons as to why I enjoy Micro Four Thirds so much — is that the lenses are significantly smaller and lighter than full-frame counterparts, especially those for full-frame DSLRs. A bag with an E-M1X and a handful of lenses is typically going to be much more portable and easier to carry than a similar setup for a full-frame DSLR. This is especially so when you look at telephoto lenses, which is arguably more of the target use-case with a camera like the E-M1X. Hauling a 70-200mm, a 400mm or a 600mm around with a DSLR body (or two) definitely takes some muscle, but with the E-M1X and its smaller Four Thirds sensor, the equivalent focal length lenses make for a highly portable system. For instance, the Olympus 300mm f/4 Pro lens is laughably more portable (not to mention vastly less expensive) than a Canon or Nikon 600mm f/4 super telephoto prime. So, while the body design of the E-M1X is larger and indeed heavier than previous OM-D cameras, the benefits of the Micro Four Thirds platform still provides a smaller, lighter and more compact system overall. In use, the large, contoured handgrip of the E-M1X really fills the hand and provides an excellent, secure hold on the camera. Compared to the E-M1 Mark II, the grip of the E-M1X feels noticeably larger and more substantial. It’s thicker and wider than the Mark II’s grip, but not significantly deeper. I wouldn’t consider my hands to be all that big, and I can easily wrap my hand around the E-M1X’s grip. As we said in our in-depth hands-on video tour of the E-M1X, the overall size of the camera isn’t dramatically bigger than the E-M1 Mark II with its battery grip attached, but the E-M1X is bigger and holding them side-by-side, you can tell a difference. In the hand, the E-M1X feels bigger, beefier and more robust yet still very comfortable to hold both in landscape and portrait orientations — it’s an excellent grip design in both directions. With the slightly larger body design, not only is there more room for your hand and thumb to grip the camera, but also the buttons and controls feel a bit more spread out. The buttons and dials on the E-M1X aren’t really any larger than their counterparts on the E-M1 Mark II, but the larger body size provides a nice, sizable “clear area” for your hand to grip the camera without much risk of accidentally pressing buttons. Personally, I never had an issue with the E-M1 Mark II’s controls feeling anywhere near cramped nor having the controls feel small or flimsy. If that’s your experience as well, then you’ll certainly have no issues operating the E-M1X. There have also been some subtle tweaks and changes to control placement, as well. One of the more noticeable changes is a redesign to the front and rear command dials. Whereas these two dials sat squarely on top of the body of the E-M1 Mark II, with the front dial also surrounding the shutter release, the E-M1X has these dials embedded into the camera body. The rear dials are placed within the rear of the camera nearer to your thumb, and the front dial is now separated from the shutter release and placed within the front face of the handgrip. This control layout is very similar to larger DSLR cameras, such as the Nikon D850, for example. As an E-M1 Mark II owner, I didn’t experience much of a learning curve — the design change here isn’t all that drastic — but since I was really accustomed to having the front dial right there at the shutter release, that took a brief adjustment period due to my muscle memory. I’ve mentioned this next feature many times in previous Field Tests, but one of my favorite camera controls is a joystick, and at last, the Olympus E-M1X has one of these, a first for an Olympus camera. While shooting, I’m constantly adjusting the position of my AF point, and I’ve come to really love the speed and ease-of-use of a joystick control for AF adjustments. On the E-M1 Mark II, you have to use the 4-way command buttons to move the AF points, and admittedly that worked quite well. However, with the E-M1X, you now have the ability to immediately move in the diagonal direction with the joystick, and I found it much faster to move the AF point, or AF point cluster, where I needed it. Plus, I found the physical location of the joystick control more convenient to reach than the 4-way control buttons, which are now placed lower down on the body compared to those on the E-M1 II. It should also be noted, and as you can see on the rear of the camera above, there are two joystick controls, one for both grip orientations. 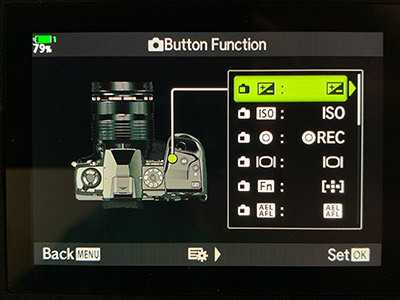 There are a few other tweaks and changes to the buttons on the camera that improve out-of-the-box usability, including dedicated/pre-programmed ISO, Exposure Compensation and White Balance buttons. The E-M1 Mark II was highly customizable; you could re-assign most of the buttons and dials to any number of different functions to suit your shooting style. Now the same easy customization is, of course, available on the E-M1X (and it’s even easier now, with a new menu design that graphically displays the location of the button you’re modifying), but the initial button setup, with critical shooting functions assigned to labeled, dedicated buttons is a nice improvement. For example, there isn’t an “ISO” button on the E-M1 Mark II, so I immediately re-assigned the “Shadow/Highlight multi-function” button on the top-deck to adjust ISO. With the E-M1X, Olympus has, more or less, defaulted to doing this right out of the box; there’s no “shadow/highlight” button now, but rather an ISO button instead. Of course, if you want to assign the shadow/highlight curve adjustment to an external button on the E-M1X, you’re more than welcome to do that. 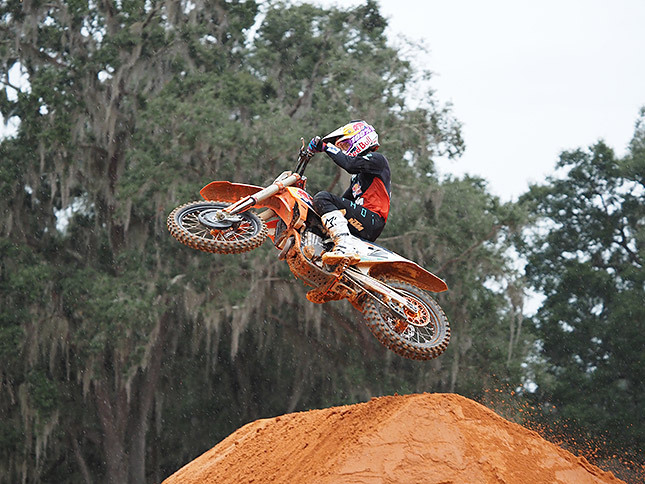 Lastly, I want to mention the new electronic viewfinder, which I found to be downright excellent. Not only is the viewfinder magnification significantly larger than that of the E-M1 Mark II (0.74x), it’s also one of the largest electronic viewfinders currently available at 0.83x magnification (35mm eq.). In addition, the E-M1X’s EVF is rather unique in that it uses progressive scan rather than an interlaced display. This combined with a 120fps refresh rate and only 0.005s of latency makes it fantastic to use for tracking and shooting fast action and sports. In my time with the camera so far, I have nothing but praise for the EVF. It’s extremely large and feels very close up to the eye, giving you a bright, sharp, full view of your scene. The viewfinder, with its high refresh rate and progressive scan display, is fast and practically lag-free. Tracking fast-moving subjects is easy, and I’ve yet to see any artifacts, tearing or any other issues that would affect subject tracking accuracy. Overall, it’s just a beautiful electronic viewfinder! Next, I want to briefly touch on the E-M1X’s performance and autofocus. So far, I’ve only had an opportunity to really use the camera in-depth while it ran beta-level firmware, so I can’t make concrete conclusions nor comparisons to other cameras at this point in time regarding its performance capabilities. However, that being said, I’ve yet to run into any issues in terms of burst shooting, AF performance, and general speed and responsiveness of the camera. 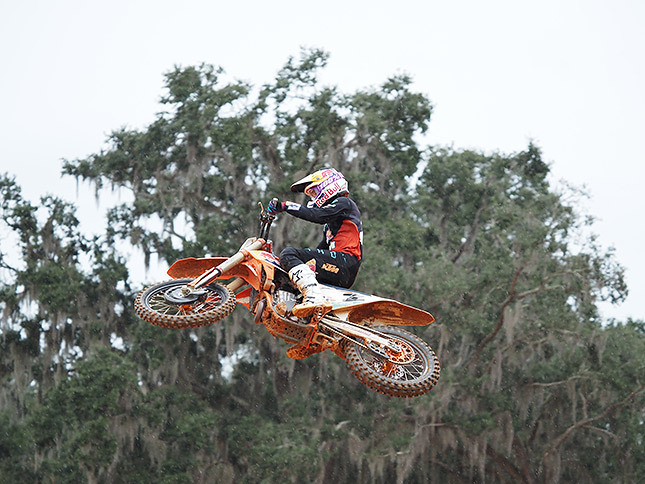 I had the chance to shoot motorsports (albeit briefly due to weather issues) as well as motocross and collegiate football with the E-M1X, and the camera performed very well, with fast continuous burst shooting, deep buffer performance and accurate C-AF tracking. In general shooting, I was never left waiting for the camera either — quick continuous bursts one after the other, and the camera kept up with the action without a hitch. The dual UHS-II card support also let me shoot long burst sequences and then begin reviewing images right away without much if any noticeable delay. We will, of course, be doing further testing on the E-M1X’s scene recognition and AF tracking performance now that we have production firmware, but so far, I’m quite impressed with this intriguing new technology. Finally, I wanted to mention battery life. Thanks to the gripped design, the E-M1X uses two battery packs — the same BLH-1 Lithium-ion batteries as the E-M1 Mark II, which is handy if you’re already an E-M1 II owner. During my initial three-day shooting time with the camera I never had to charge the batteries. The two included batteries (the camera ships with two batteries and two chargers) lasted all throughout the different shooting experiences. The on-screen battery life indicator was a little confusing at first, though, as it only displays the battery life of one battery at a time. I had assumed that the battery percentage shown was for the camera system as a whole, not that single battery pack. I ended up panicking while out shooting that I was running out of battery and kicking myself for not charging the batteries the night before. Luckily, it was for a single battery, and the E-M1X seamlessly switched over to the second, fully-charged battery automatically once the first was drained. So far the Olympus E-M1X is proving to be a very impressive camera. The build quality is outstanding, as I’ve come to expect with the Olympus E-M1-series. (I’ve dropped, banged and dunked my E-M1 and E-M1 Mark II numerous times and they’ve both kept on ticking.) The rugged construction and extreme weather-resistance of these cameras is something I really admire; I love not having to worry about weather, water, dust or dirt! With the same 20MP Four Thirds sensor as in the E-M1 Mark II, the image quality should be very similar, which is to say very impressive for a Micro Four Thirds camera. Also, the real-world performance I’ve witnessed so far with pre-production firmware makes me excited to continue testing this camera with more difficult, fast-paced action subjects. The camera feels like an absolute beast in the field, so I’m looking forward to more shooting! Admittedly, the higher price tag and the larger size of the E-M1X was cause for a little concern for me personally. The E-M1 Mark II was already pretty pricey at $2,000, and I’m kind of a stickler when it comes to having a small and lightweight camera. However, the E-M1X handles very well and feels very comfortable to use, despite its increased size and weight. And when you compare it to the flagship, gripped professional cameras from other manufacturers like Canon and Nikon, the $3000 E-M1X is both less expensive and more compact. 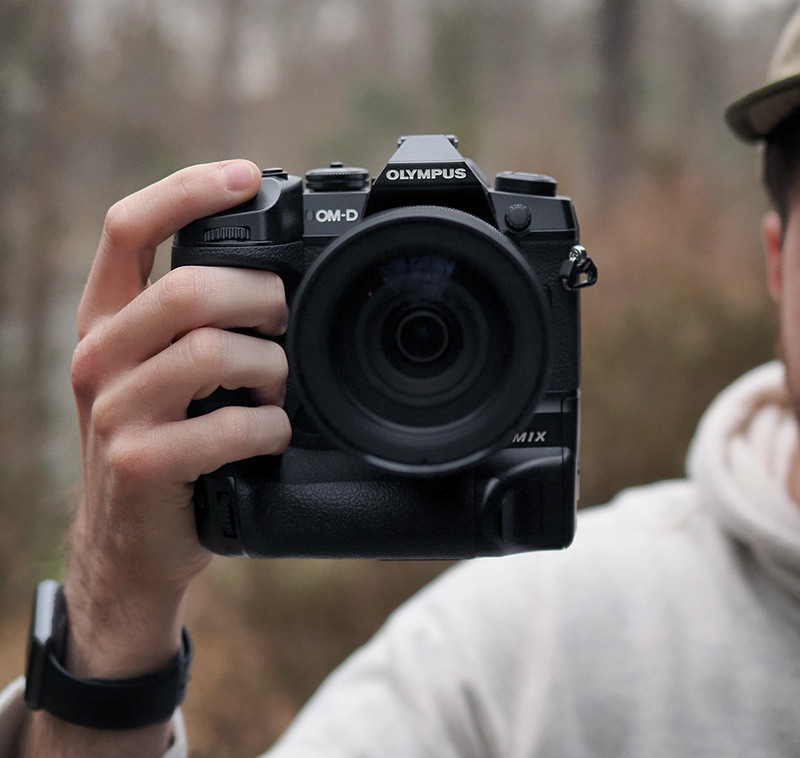 If you are aiming for a high-performance, rugged-as-heck camera that’s also designed around a highly-portable camera system, the Olympus E-M1X should be at the top of your list. Now that we have production firmware for our E-M1X, stay tuned for a lot more in-depth testing as we put this new Olympus flagship camera through its paces. We’ll be diving deeper into continuous AF performance and its new subject-tracking system, as well as the new Live ND feature and the Handheld High-Res Shot mode (so far initial shots have been very impressive). Of course, we also plan to hand the camera off to our resident video expert Jaron Schneider for a detailed review of the upgraded OM-D Movie features. Sound off in the comments section below if there’s anything in particular to you want us to investigate for you! Olympus has, once again, crafted an entirely brand-new metal body for the OM-D E-M1X. Body-only, it’s about 1.7 times the weight of the E-M1 II, due in large part to the fact that it includes a built-in portrait grip and an array of duplicate controls for shooting in that orientation, which makes it a much taller camera. Loaded and ready to shoot — but without a lens — the weight difference between the Mk II and M1X is even more noticeable, because the newer, larger flagship camera supports twice as many batteries in-camera as does its more compact flagship sibling. But that’s not necessarily a bad thing. The E-M1X is a camera you’re going to choose when you don’t mind a bit of extra heft, but want the best possible ergonomics and shooting experience. And by allowing itself some freedom in placing controls on the much larger body of the M1X, Olympus has certainly provided a better shooting experience than had it tried to retain the exact same control layout as on the smaller camera. So you get more controls — and more direct access to features, rather than programmable buttons which make you choose which few functions to prioritize — with buttons intentionally designed to be easy to differentiate by touch, and a shooting experience that eventually becomes second nature. And there’s no risk of unintentionally bumping portrait controls, either: You can use the C-Lock switch to either lock all portrait controls, or to lock specific controls you have chosen while leaving others in use. The only real downside of the new layout is that the control layouts now differ significantly between the Mk II and M1X, which will make it harder to switch back and forth between both pro-grade bodies, should you want to do so. And as you’d expect of an Olympus camera, this thing is a tank. Crafted from magnesium alloy, it’s easily capable of passing IPX1 water ingress testing — Olympus tests in-house to its own, higher standard that’s closer to IPX3 than it is to IPX1 — and that’s true even with the remote, microphone and headphone jacks in use! And as well as being splashproof, is also dustproof and freezeproof to 14°C (-10°C), the body now sports an internal heat pipe designed to channel heat from the image sensor and out of the camera, using its own metal body as a radiator. At the heart of the Olympus E-M1X is the exact same image sensor seen previously in the E-M1 II. Compared to the original E-M1, it’s higher resolution, faster, and yet has low power consumption, greater dynamic range and better noise performance. Effective sensor resolution is rated at 20.4 megapixels, for a maximum image size of 5,184 x 3,888 pixels. (The total pixel count is 21.8 megapixels.) 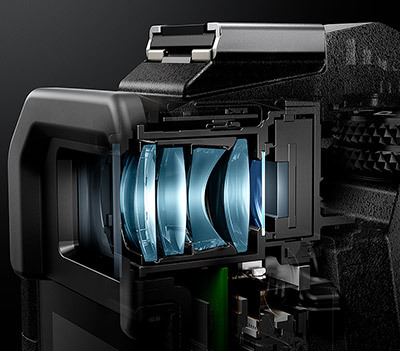 Sensor size is 17.4 x 13mm, and the E-M1X has a 4:3 aspect ratio. The Olympus E-M1X’s image sensor is not overlaid with an optical low-pass filter, so per-pixel resolution should be maximized, although this will be at the expense of an increased risk of moiré and false color artifacts. An anti-reflective coating has been applied to both surfaces of the sensor’s cover glass. 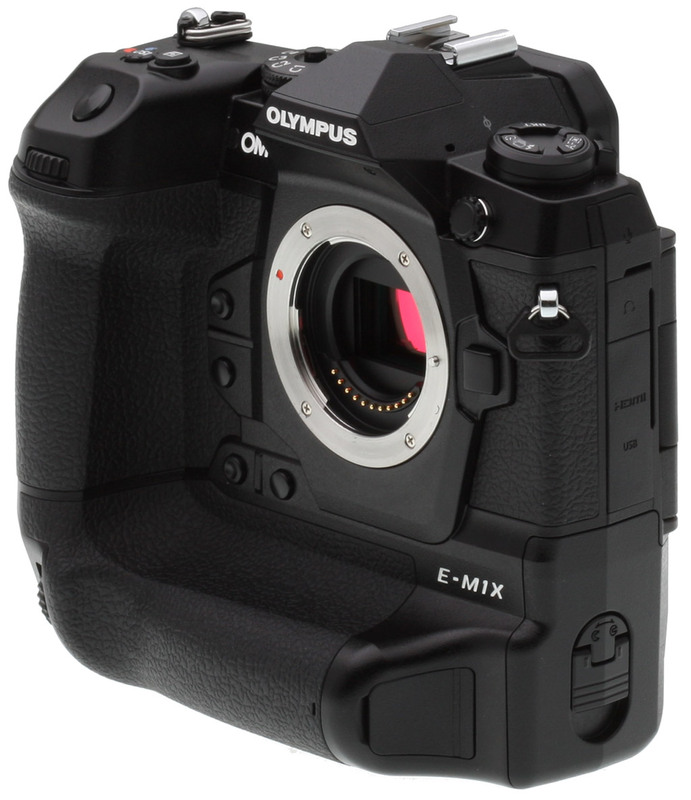 The E-M1X features an upgraded variant of Olympus’ Super Sonic Wave Filter dust reduction system, which operates via a piezoelectric element that vibrates the cover glass overlying the sensor to shake dust particles free. They’re then captured on an adhesive membrane beneath the imager. We’ve subjectively found piezoelectric systems like these to be significantly more effective than those using lower-frequency motion from a sensor-shift assembly. So what’s new in the E-M1X’s Super Sonic Wave Filter function? Olympus says that it has improved the cover glass coatings and increased the system’s frequency to 30,000 Hz, and that dust removal is now 10% more effective than in past Olympus cameras. High-Res Shot mode goes handheld! If you need more detail than the 20.4-megapixel native resolution of the E-M1X can muster, you’ll be glad to hear that it retains Olympus’ clever High-Res Shot mode. You’ll still need a tripod and a relatively static subject, just as does Pentax’s competing Pixel Shift Resolution mode, although like that technology the E-M1X can detect moving subjects within a largely static scene and correct for them. And also like the Pentax tech, Olympus’ current iteration can now operate not only on a tripod, but also handheld. Instead of moving the sensor with perfect subpixel shifts, the E-M1X will instead allow the image to move on the focal plane between exposures, and will then microalign them. One important difference from Pentax’s function, though, is that the E-M1X’s handheld high-res shot mode captures not just four exposures, but sixteen of them, giving it a lot more data to work with in the first place. High-Res Shot mode in the Olympus E-M1X will yield a 25 or 50-megapixel JPEG, and/or an 80-megapixel raw file for processing on the desktop. Handheld, the function has the same resolutions with the exception of the raw files, which are capped at 50 megapixels too. With two processors instead of one, you might expect an increase in performance from the (admittedly, already very swift) E-M1 II. However, while its buffer depths have changed, the E-M1X sports exactly the same selection of burst capture rates as does its elder flagship sibling. 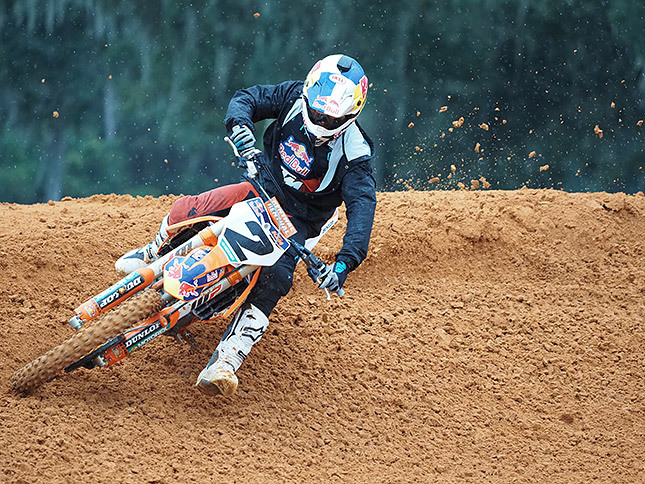 With focus and exposure locked from the first frame, burst speed tops out at 15 frames per second, and even if they vary between frames, the E-M1X can still manage 10 frames per second. And all of these are with a mechanical shutter; switch to an electronic one and you’ll manage 60 full-res raw files per second with focus and exposure locked from the first frame, or 18 with AF and AE between frames. One clever way in which Olympus took advantage of the E-M1 II’s spectacular level of performance was with a new shooting mode it referred to as Pro Capture. When you half-pressed the shutter button, the E-M1 II would capture frames as fast as it could and buffer them, continuously discarding the oldest frame as needed to fit the next frame in the buffer. This function allowed the E-M1 II shooter to reach back in time as many as 14 frames before the shutter button was fully depressed, perhaps saving them if their reflexes missed the crucial moment in time by just a little bit. But the E-M1X shooter will gain even more reflex-substitute powers with a 35-frame pre-roll buffer available to the newer camera. By default, the Olympus E-M1X has a sensitivity range of 200 to 25,600 equivalents, identical to that of the original E-M1 and E-M1 II. The lower end of this range can be extended to ISO 64-equivalent, while there is no expansion function at the upper end of the range. If you’re wondering why sensitivities below ISO 200-equivalent are not available by default, that would be because images at lower sensitivities are being intentionally overexposed at capture. Once finalized, the exposure is then corrected, allowing a longer exposure time but with reduced dynamic range in the highlights. You can do much the same thing yourself in post-processing, and many other cameras (including the original E-M1) also use the same trick to achieve their expanded low sensitivity settings. The Olympus E-M1X includes a Dual FAST AF-branded autofocus system, just as in the E-M1 II. It offers up a generous 121 contrast-detection AF points and 121 phase-detection AF points, and every single one of the latter are cross-types, sensitive to detail on both the horizontal and vertical axes. AF point coverage is 75% vertically and 80% horizontally. Like the E-M1 and E-M1 II before it, the Olympus E-M1X can actually provide even more contrast-detect AF points across the image frame when the extra granularity is needed. In Magnified Frame AF mode, a total of 800+ focus points are available across the entire image frame, the same number as in the earlier cameras. The system works down to light levels as low as -6EV with an F1.2 lens. This new capability is, in a way, a natural outgrowth of another we’re more familiar with (and which the E-M1X also boasts): Face and eye-detection autofocus. Here, you have a choice of whether eye detection should prioritize the left or right eye of subjects, or simply that which is nearer to the camera. The Olympus E-M1X provides a choice of automatic AF point selection (complete with the aforementioned intelligent subject detection), 5, 9 or 25-area grouped point selection — that last being a new addition since the E-M1 II — and single-point selection. You can also select any odd number of points from 1 to 11 on horizontal and vertical axes to specify your own area of the image frame which you want the camera to be able to track across. 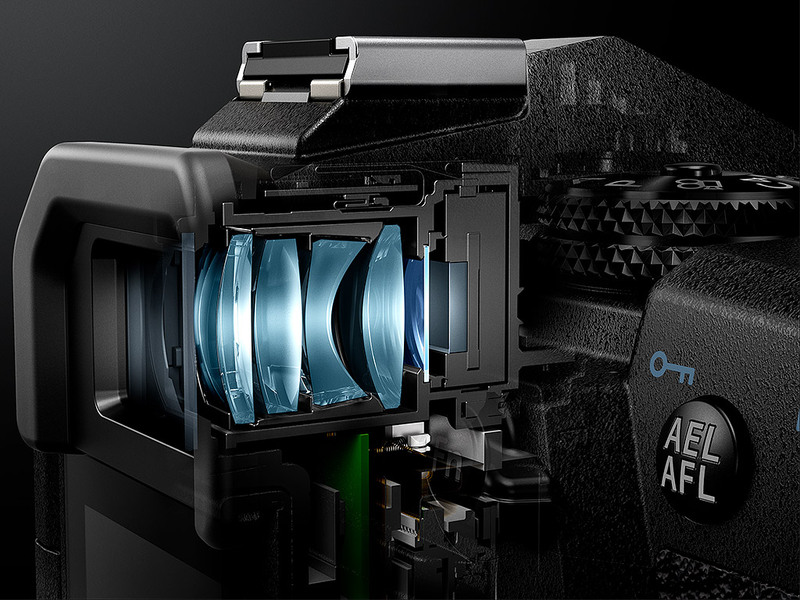 And you can also customize AF tracking sensitivity and to limit your lens’ focus range in-camera. And if you prefer manual control, you’ll find a Preset Manual Focus mode in the E-M1X, as well as a choice of 3x, 5x, 7x, 10x or 14x zoom display modes which help lend you a closer view of your subject while manually focusing. The E-M1X also retains an AF assist lamp and focus peaking function, and offers in-camera focus stacking and bracketing functions. The camera will decide by itself whether to use the phase-detection or contrast-detection AF points, depending upon the lens in use, scene being photographed and camera setup. To choose which points to use, the touch-screen display can serve double-duty as an AF targeting pad, a function which is called up or dismissed by double-tapping on the screen. If you prefer an interaction with a little more tactile feedback, you will also find a pair of new AF area multi-selector joysticks, which fall nicely under your thumb in either the landscape or portrait orientations. These are unusual in allowing selection not just horizontally or vertically, but also on the diagonal axes, and let you shift the focus point even during burst capture or video shooting. When Olympus launched the E-M1 II, we were told that its updated five-axis image stabilization system — which was capably of a 5.5-stop corrective strength — had reached the limits of then-current gyro sensor technology, which was now being limited by earth’s own rotation. Well, it seems that gyro sensor technology has since improved sufficiently — with some cooperation between Olympus and Epson — to enable correction far in excess of that which the E-M1 II could provide, as the E-M1X can now yield a truly staggering 7.0 stops corrective strength using the same 12-40mm f/2.8 PRO lens as tested with the E-M1 II. If combined with lens-based IS — a pairing which Olympus refers to as Synchronous Image Stabilization, or Sync IS for short — this can be boosted still further to a staggering 7.5-stop correction (tested with the 12-100mm f/4.0 PRO lens) for yaw, pitch, roll, and both vertical and horizontal translational motion. 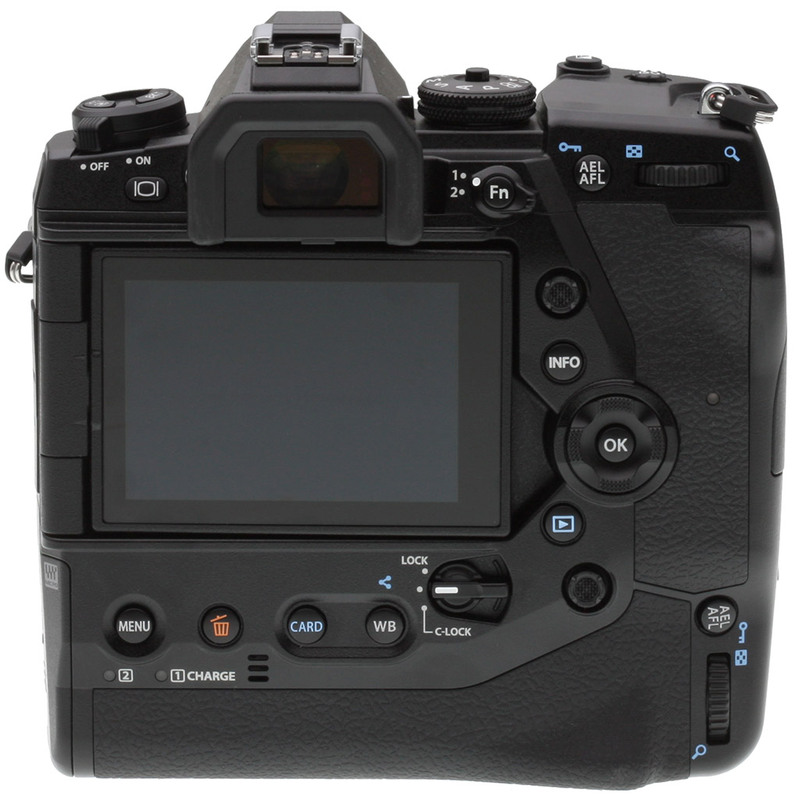 The E-M1X’s IS system has four operating modes. It can stabilize on both axes, horizontally only, vertically only, or choose between the three as the camera deems appropriate. If using a manual lens or a lens adapter, you can dial in an appropriate focal length manually, or choose from one of ten predefined lens types. Mechanical image stabilization can also be used for movie capture, unlike some cameras which limit you to digital image stabilization for movies. With the earlier camera, Olympus already slashed viewfinder latency — that is, the delay between something happening in the real world, and being shown on the viewfinder — from 29 to just six milliseconds. 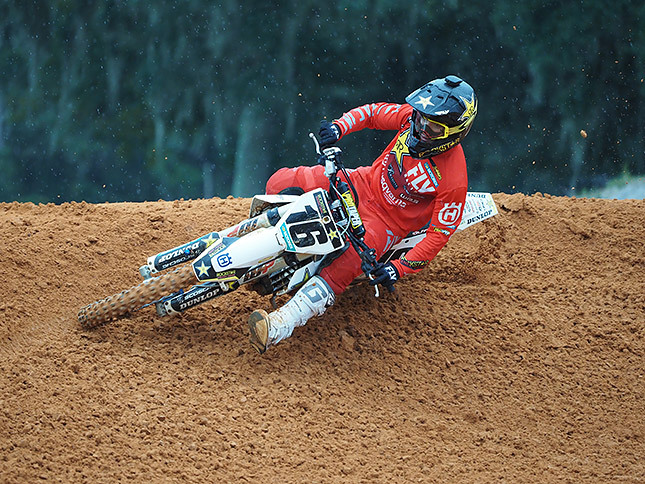 With the E-M1X, it pares off another millisecond, allowing a display time lag of just five milliseconds. As you’d expect in a camera aimed at enthusiasts and pros, field of view is manufacturer-rated at 100%. There’s a diopter correction function, too, which spans a range from -4 to +2 diopters. Eyepoint is 21mm from the viewfinder lens. The E-M1X’s LCD monitor has the same three-inch diagonal, 1,037,000-dot resolution and capacitive touch-screen overlay as found in both the original E-M1 and E-M1 II. And as in the latter, it also has a side-mounted tilt/swivel articulation mechanism, rather than a tilt-only type as is more typical in interchangeable-lens cameras. We greatly prefer over a tilt-only design because it’s useful not only when shooting in landscape orientation over your head or low to the ground, but also in portrait orientation. Tilt-only screens are of no help in this scenario, especially if shooting over your head, leaving you struggling to see an off-angle LCD that’s obscured by reflections of the sky above. For added bonus points, the tilt/swivel screen can be closed facing inwards, protecting the LCD from minor knocks, scrapes and smudges. As in the E-M1 and E-M1 II, there’s a +/- 7-step control over both brightness and color available, and two color-tone selections — vivid or natural — so you can tune the display to your tastes, as well. Like the E-M1 and E-M1 II before it, the Olympus E-M1X forgoes a built-in flash strobe altogether. But unlike those models, nor is a flash included in the product bundle, either. Instead, Olympus promises compatibility with its optionally-available FL-50R, FL-36R, FL-20, FL-14, FL-300R, FL-600R, FL-900R, STF-8 and FL-700WR flash strobes. Strobes used on the E-M1X will be limited to a sync speed of 1/250 second. Super FP-capable strobes can sync at 1/125 to 1/8000 second. Flash is still supported with the electronic shutter; you can sync at 1/50 second if you stay below ISO 6400-equivalent, but will be limited to 1/20 second if you raise the sensitivity any higher or enable ISO bracketing. Flash exposure compensation is available within a range of +/-3EV, in steps of 0.3, 0.5, or 1EV. The E-M1X also supports four-channel wireless flash with one external strobe acting as a master, and a multitude of off-camera flash strobes configured in up to 4 groups. The Olympus E-M1X offers shutter speeds ranging from 1/8,000 to 60 seconds, set in 1/3, 1/2, or 1EV steps. When using electronic shutter, you can access a much wider range of 60 to 1/32,000 second. A Live Bulb mode is available (bulb mode also now having its own location on the mode dial), and so is a Live Time mode which defaults to an eight minute exposure, but which allows anywhere from one to 30 minutes. A Live Composite mode has a three-hour maximum shooting time. There’s also a new Live ND mode. This allows for slow-shutter effects without using a neutral-density filter, and its effect is also simulated in the viewfinder. You have a choice of five strength levels for the function: ND2 (1EV), ND4 (2EV), ND8 (3EV), ND16 (4EV) or ND32 (5EV). The function works by compositing multiple exposures in sequence and then combining them to yield a single image equivalent to a long-exposure shot of the scene. This could prove particularly nice with lenses where it’s challenging or impossible to attach a neutral-density filter. Exposure modes include Program (with Program Shift), Aperture-priority, Shutter-priority, and Manual, plus Bulb, Movie and four Custom modes. Quite sensibly reasoning that this is a camera for pros, Olympus has dropped the Intelligent Auto and Art Filter modes from the E-M1 II altogether. Exposure compensation is available within a generous +/-5EV range, set in 1/3, 1/2, or 1EV steps. You can bracket exposures, too, with a choice of 2, 3, 5, or 7-frame bracketing in 0.3, 0.7, or 1EV steps. (The largest step size is only available for five frames or less, though.) And bracketing isn’t just limited to exposure: you can also bracket ISO sensitivity, white balance, flash, art filters and focus distance. The Olympus E-M1X also offers a generous selection of creative effects. These include 16 Art Filters, each of which can be coupled with a selection from nine different Art Effects. There are also two in-camera HDR modes, a Time Lapse Movie function and a Multiple Exposure function. All of this is much the same as an E-M1 running on current firmware. However, there’s at least one new feature: an anti-flicker function which times exposures to peaks in ambient light levels, preventing your exposure varying from shot to shot under some lighting types. The Olympus E-M1X retains its predecessors’ dual-axis level gauge, which helps ensure both level horizons and parallel verticals — at least, if that’s what you want. Camera tilt can be indicated either in the electronic viewfinder, or the rear-panel LCD. Like its sibling, the Olympus E-M1X can shoot ultra high-def video. Most video features are unchanged from the E-M1 II, although new capabilities include an OM-Log400 color space for those who want to preserve shadows and highlights, then color grade in post. There’s also a new ability to change autofocus points during video capture using a dedicated joystick control, and a new maximum frame rate of 120 fps for Full HD or HD capture. You can shoot 4K video (3,840 x 2,160 pixels) at 24, 25 or 30 frames per second, and Full HD or HD (1,280 x 720 pixels) at 24, 25, 30, 50, 60 or 120 frames per second. 4K video has a 102 Mbps bitrate, and Full HD video offers 18, 30, 52 or 202Mbps bit rates, with the highest rate also using ALL-I intraframe instead of IPB interframe compression schemes. (Intraframe video compresses every frame separately; interframe compresses multiple frames based on difference from key frames which are inserted every so often in between.) Finally, HD video has a selection of 10, 14, 26 or 102 Mbps, again with ALL-I compression at the highest rate, and IPB at the lower rates. There’s also a C4K video mode, which opts for the DCI 4K standard instead of the UHD standard. If you’re not familiar with DCI 4K, it’s used in the movie industry, and has a slightly wider-aspect 4,096 x 2,160 pixel resolution with a fixed 24 fps framerate and a fixed, very high bitrate of 237Mbps to ensure good quality in-camera. The E-M1X allows automatic, aperture priority, shutter priority, and manual exposure, autofocus both before and during video, and records audio from either an internal stereo or external stereo microphone, complete with optional wind noise reduction. It also sports a 3.5mm headphone jack so you can monitor your audio. Movies are restricted to 29 minutes in length. There’s also a Slow / Quick Movie function in the E-M1X, which allows you to vary the capture frame rate of video for slow-motion and speed-up effects; audio is not recorded. Full details weren’t available at press time. Fans of geolocation and data mining nuts alike will love the E-M1X’s new Field Sensor System, which makes the camera both location and environment-aware. Alongside your photos, the camera can note the current location, elevation, direction and temperature at the time of image capture in the EXIF headers of each image. 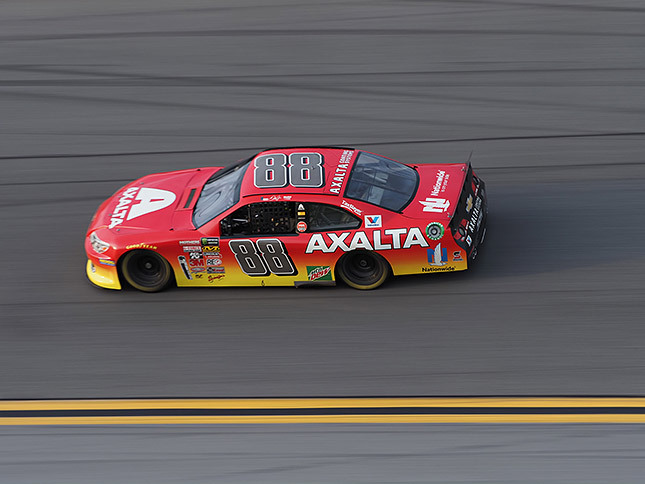 This data is provided courtesy of a built-in GPS, temperature sensor, manometer and electronic compass. Like its smaller flagship sibling, the Olympus E-M1X supports Wi-Fi wireless networking connectivity. This makes it quick and easy to get your photos and videos off the camera, and onto your smartphone or tablet for sharing on social networks. But where the E-M1 II supports only 802.11b/g/n networks (aka Wi-Fi 1, 3 and 4), the E-M1X adds 802.11ac (Wi-Fi 5) to the list, for even faster tether-free connections. Like the E-M1 and E-M1 II, the E-M1X forgoes an NFC antenna for simple pairing with Android devices, instead opting for either Bluetooth pairing or a Quick Response code — a type of two-dimensional barcode — which is shown on-screen when the camera is ready to pair via Wi-Fi. After installing the free app for Android or iOS devices, you scan this QR code using your smart device’s camera. The connection is then configured between both devices for you, automatically. If you don’t have a camera on your smart device, of course, you’ll need to pair manually. Once connected, you can not only download movies or images, but also control the camera remotely (via Wi-Fi only, not Bluetooth). As in the E-M1, this includes a live view feed, remote shutter release capability and support for adjusting basic exposure variables, drive modes and focus remotely. The Olympus E-M1X can establish a fast USB 3.0 SuperSpeed data connection with your computer via a standard USB Type-C port. Third-party adapters and cables are available if your computer doesn’t already support this new standard, which removes the need to determine cable orientation before plugging in. The USB connection, incidentally, also supports tethered shooting, in-camera charging and powering the camera itself via the USB connection, but not both power supply tasks at the same time. The E-M1X also provides a Micro Type-D HDMI port which supports clean, uncompressed 4:2:2 video output at up to C4K resolution. Both 3.5mm microphone and headphone jacks are supplied, along you to record sound externally and to monitor audio levels during video capture. Other wired connectivity includes both flash hot shoe and flash sync terminals, and a 2.5mm remote jack compatible with an optional RM-CB2 remote control. The dual card slots can be used in several distinct ways, if both are filled with SD cards. You can either choose which card slot to record to, have the camera automatically switch to the second card when the first becomes full, independently record to both cards simultaneously with images sequestered by file type, or record identical files to both cards simultaneously, essentially using one slot as a backup of the other. The Olympus E-M1X draws power from the same proprietary BLH-1 lithium-ion battery packs as did the E-M1 II, but where the smaller camera could fit just one, the battery sled for the E-M1X will accept two packs at a time, for almost double the battery life. Olympus predicts some 870 shots on a charge, without flash usage and to CIPA testing standards. Power saving mode can extend this to as many as 2,580 frames. The really big news on the power front is charging, though. You’ll not only be able to charge batteries in-camera using USB Power Delivery, but also to power the camera externally using a USB-C compliant battery pack. You just can’t do both at the same time, and you do need a battery pack with a smidgen of charge left in it to be able to power the camera on with power drawn from the USB cable. The E-M1X ships with a generous pair of BLH-1 batteries and a pair of dedicated BCH-1 battery chargers. Available in the US market from late February 2019, the Olympus OM-D E-M1X will be priced at US$3,000 or thereabouts, body-only. Our friends to the north in Canada will find a list price of CA$3,900 or thereabouts.